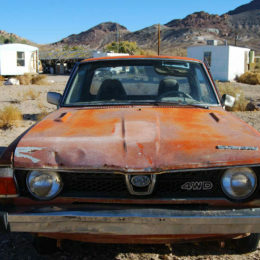 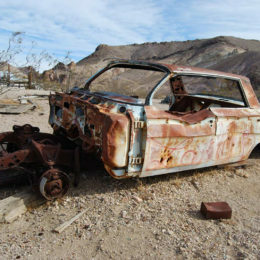 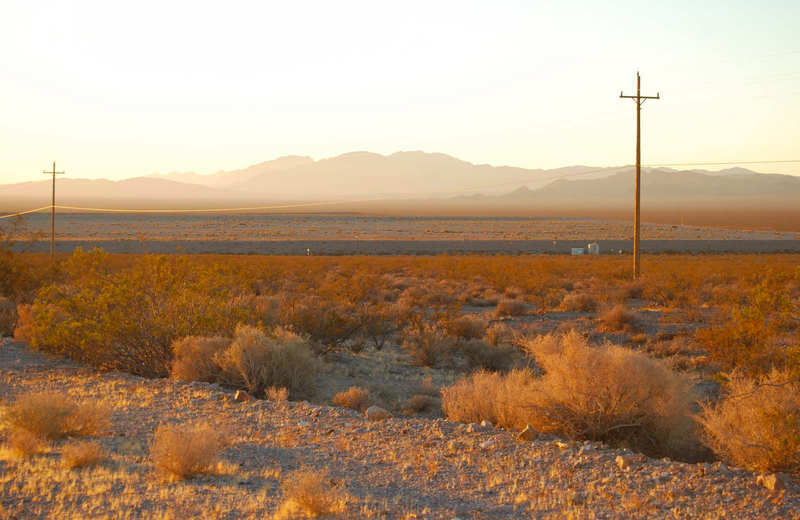 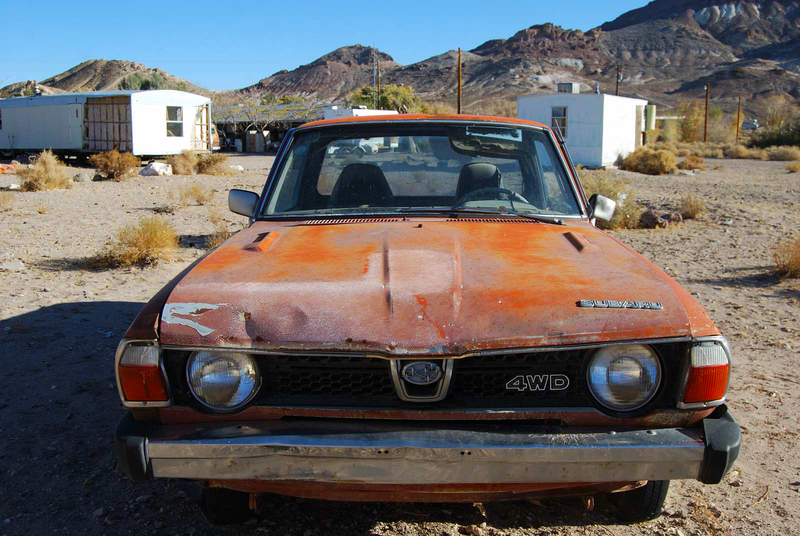 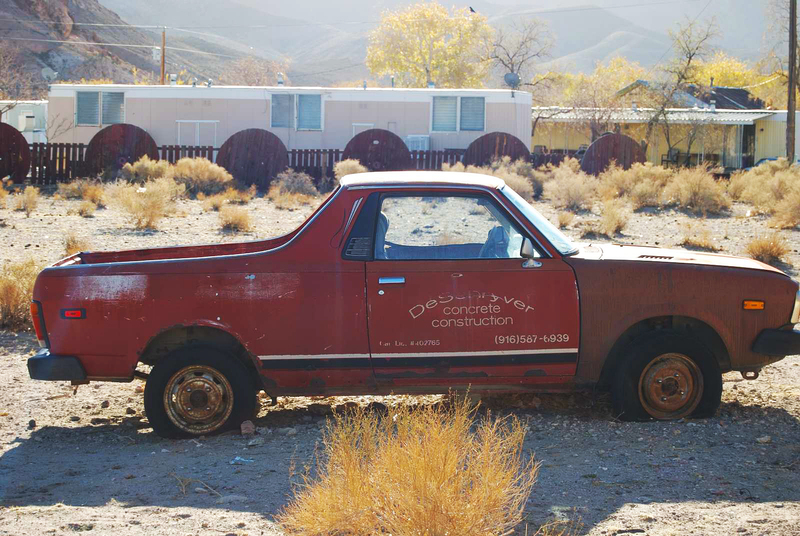 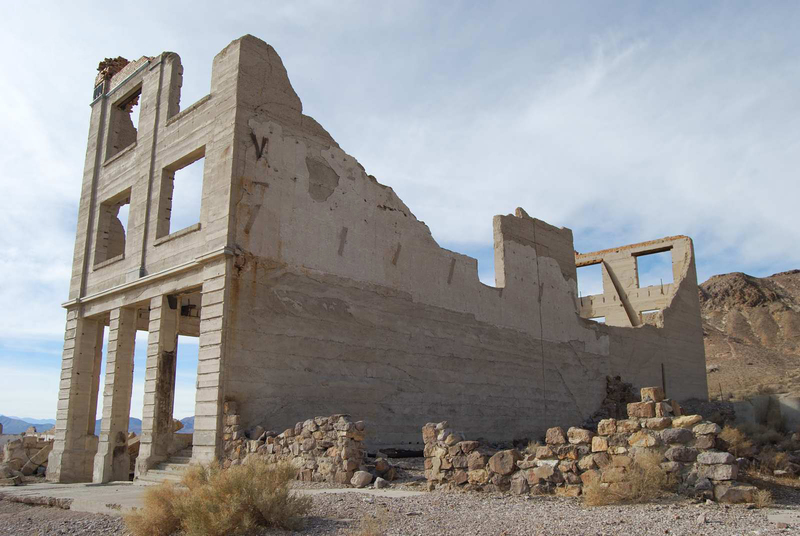 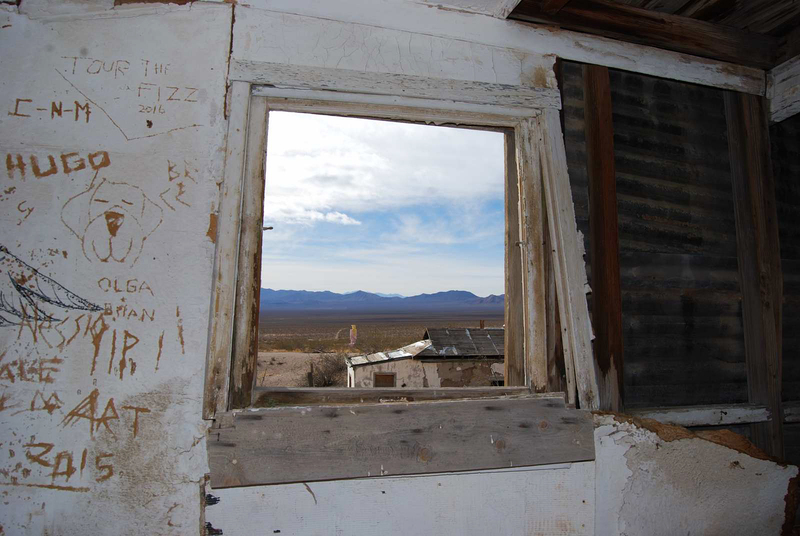 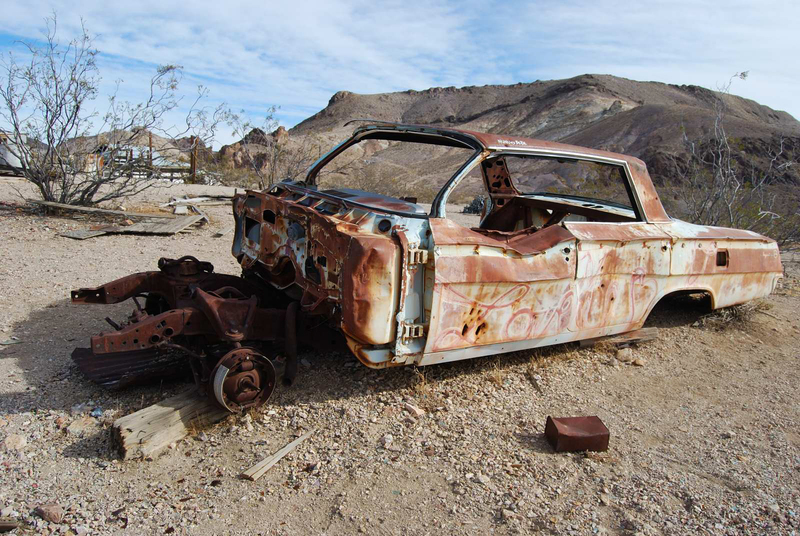 Prior to venturing off into Death Valley National Park, we explored Beatty and Rhyolite, which were small towns in Nevada, immediately outside the national park area. 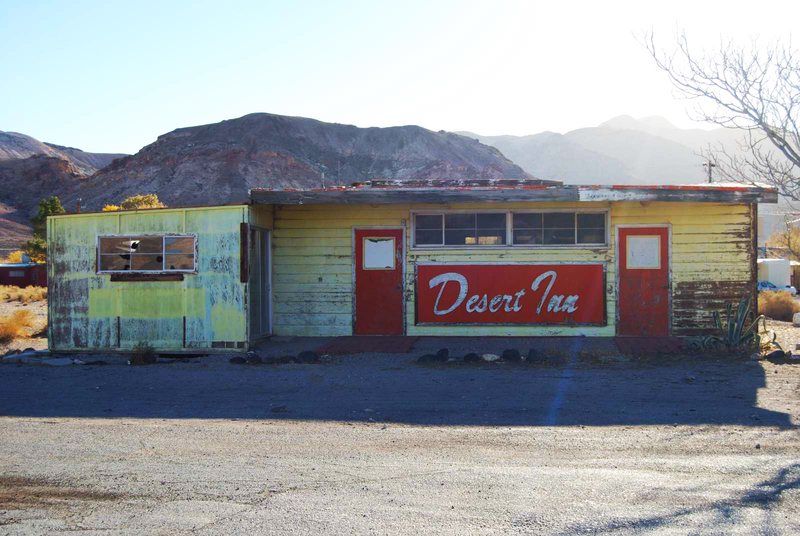 The environment in this region makes you feel as if you just stepped back into time. 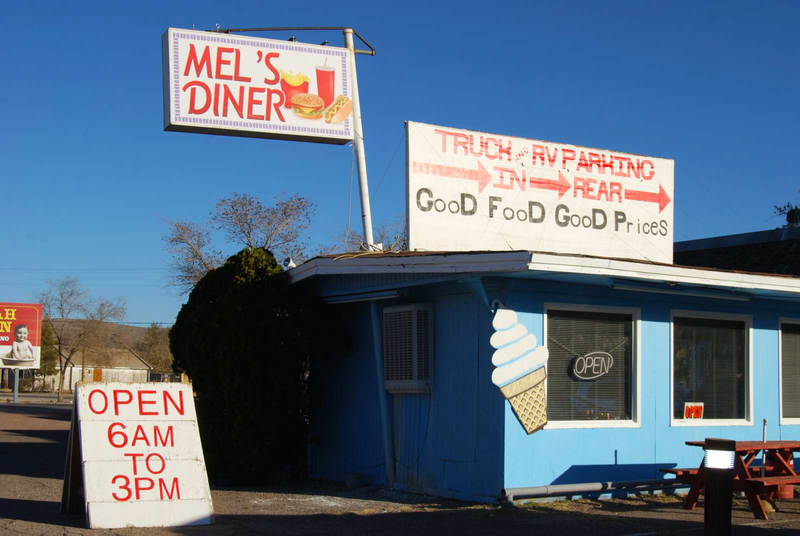 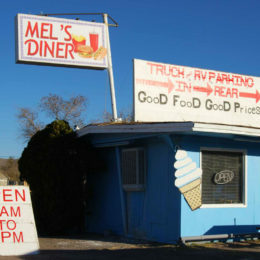 At Beatty, we had our breakfast at Mel’s Diner. 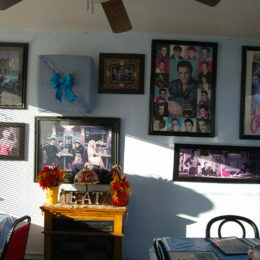 It’s a charming restaurant with an interior design that was crazy busy in colors, floor pattern, knick-knacks, photos and posters. 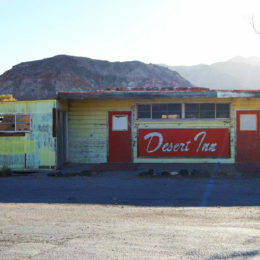 It’s practically a non-sophisticated version of a casino in Las Vegas. 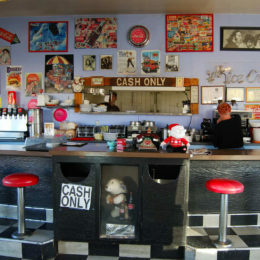 The nice part of it all was that it made waiting for your meal not a big deal. 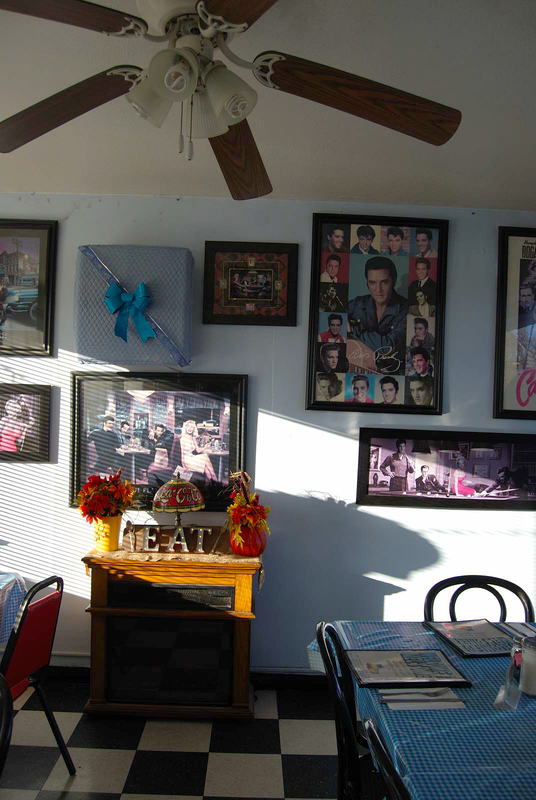 You could easily become absorbed in the wall hangings of celebrities from Marilyn Monroe and Elvis to The Beatles. 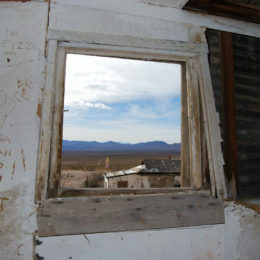 There were also several framed black-and-white images of the town’s historic sites with captions. 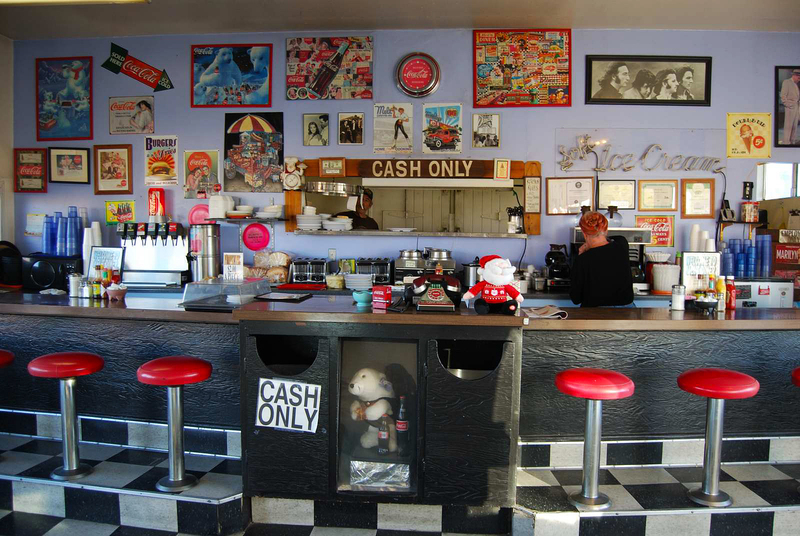 This diner was certainly a work of art in and of itself. 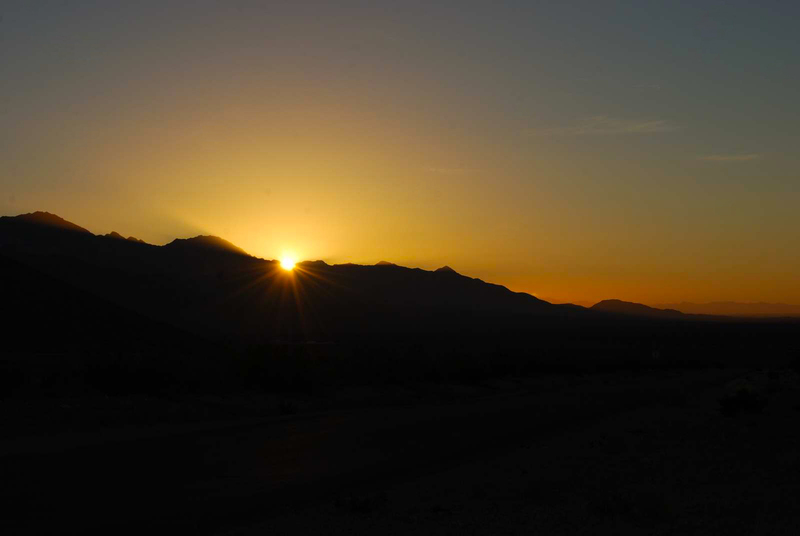 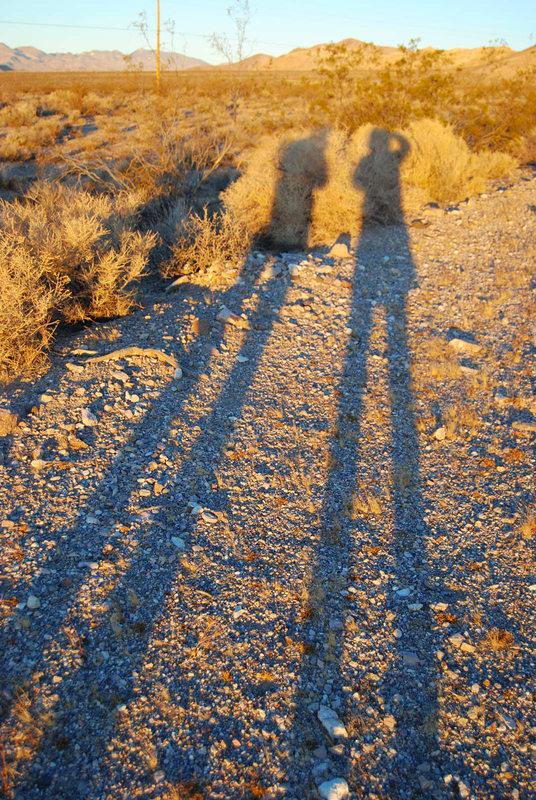 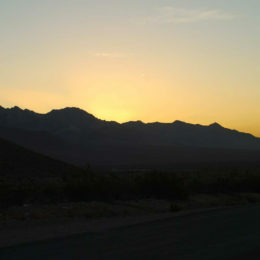 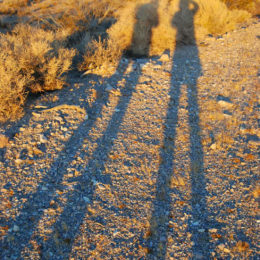 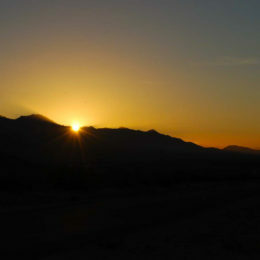 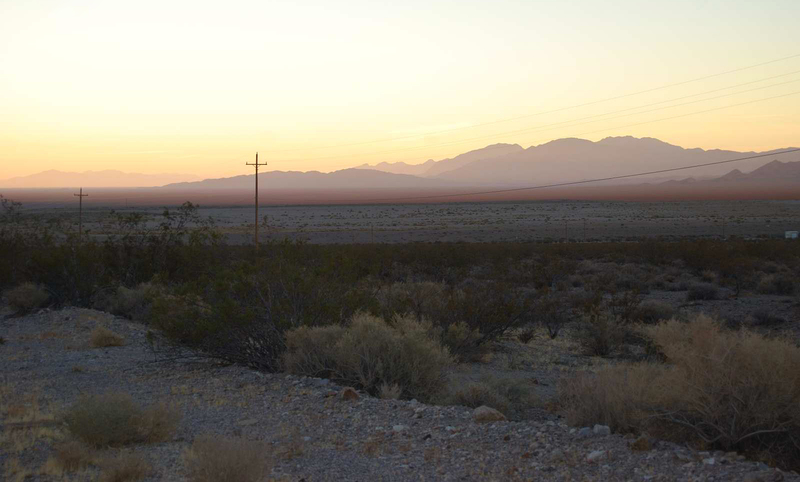 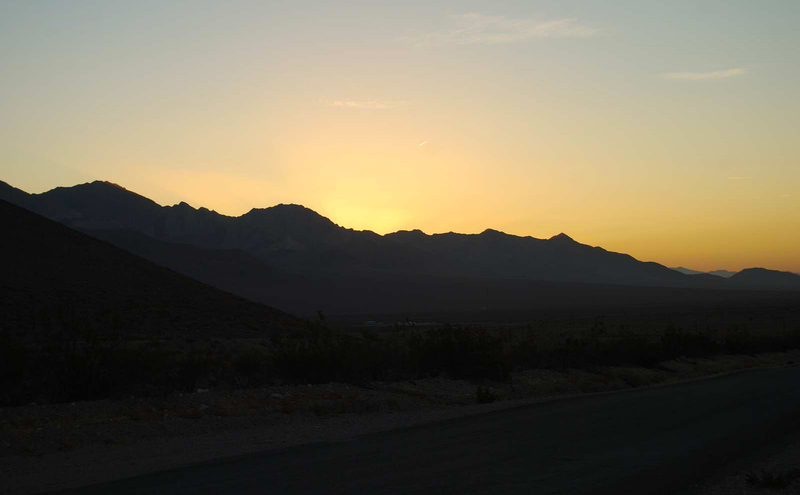 Viewing the sunrise from Rhyolite ghost town was a great way to start off the day. 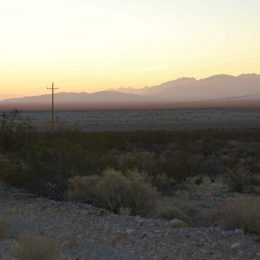 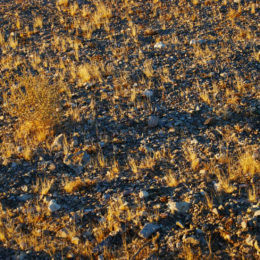 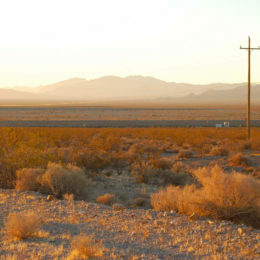 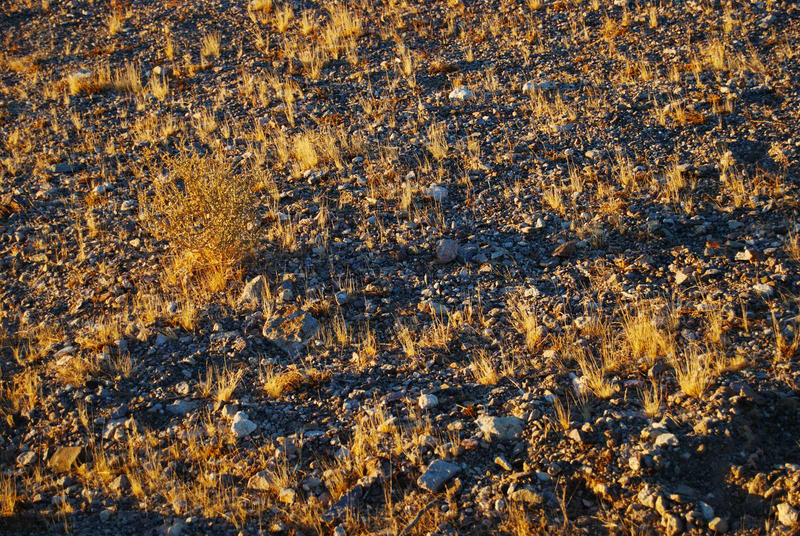 This barren place was refreshing to be in and a far cry from Las Vegas where we were just few days earlier. 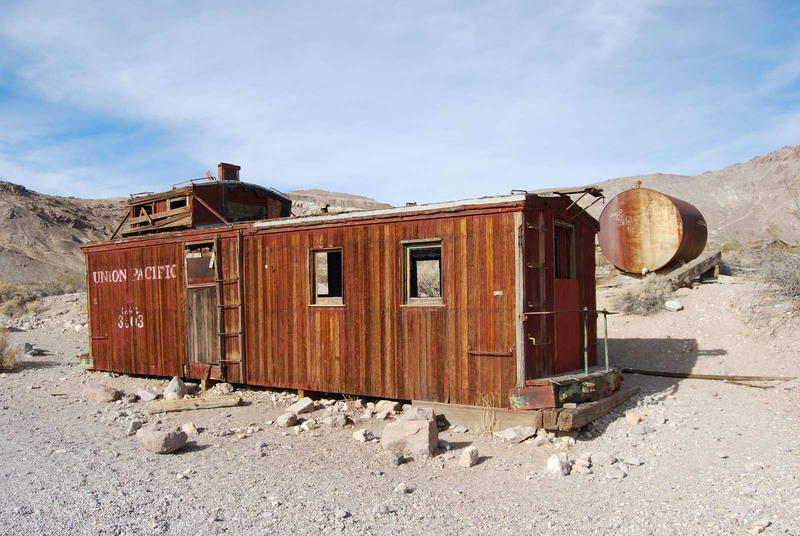 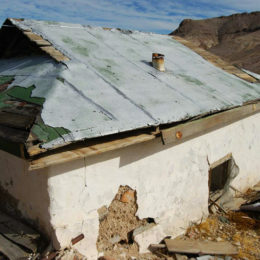 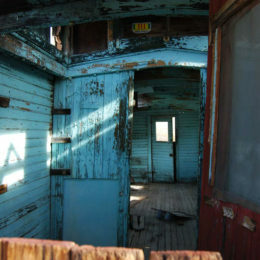 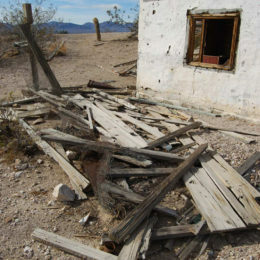 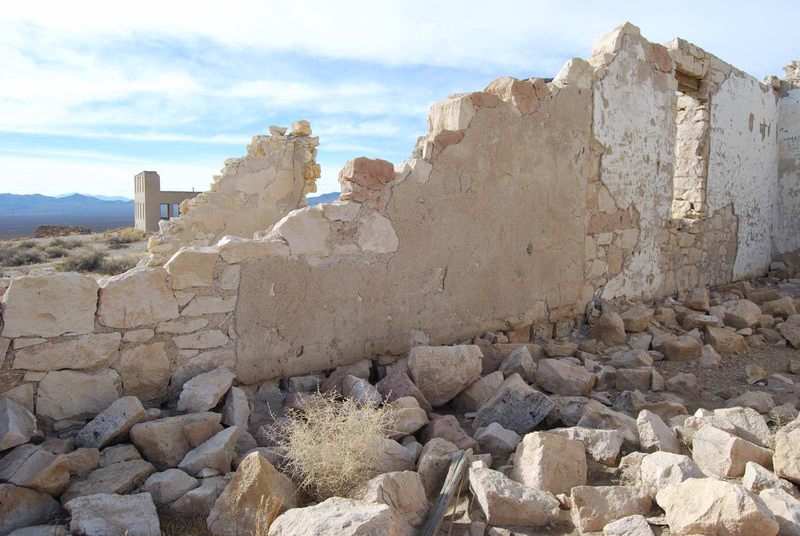 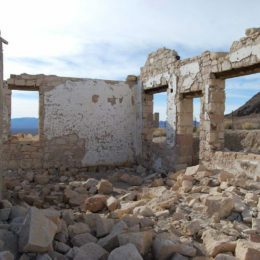 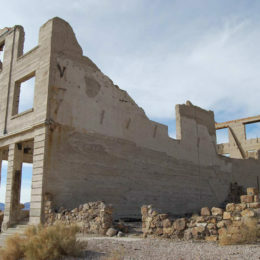 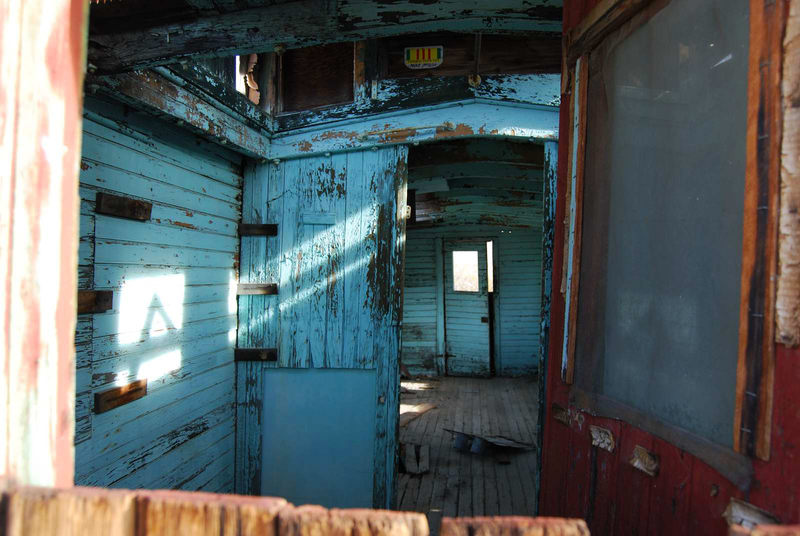 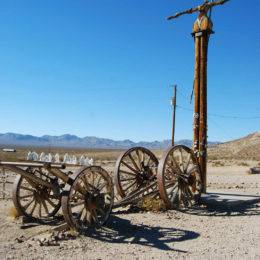 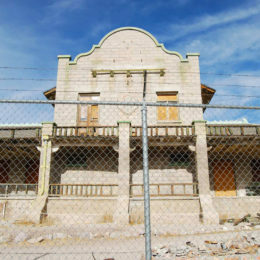 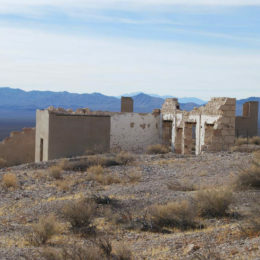 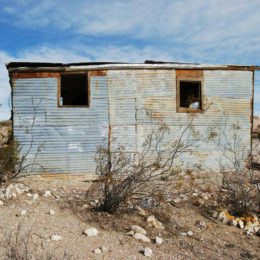 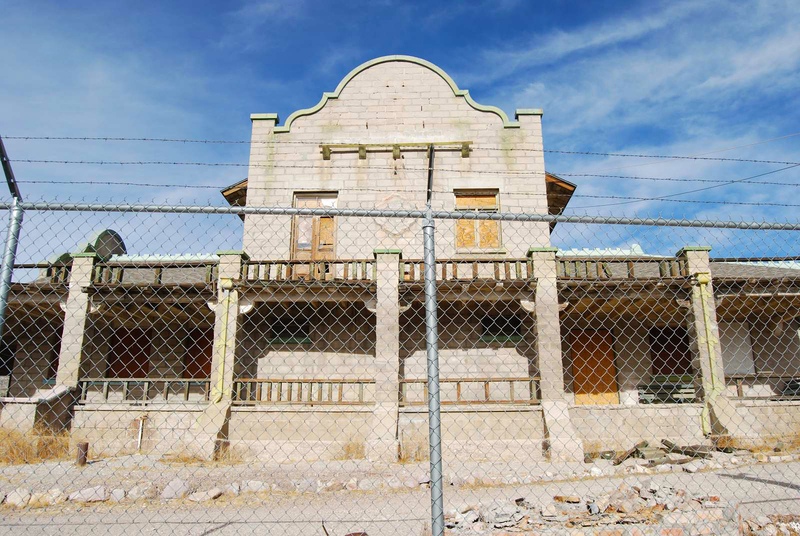 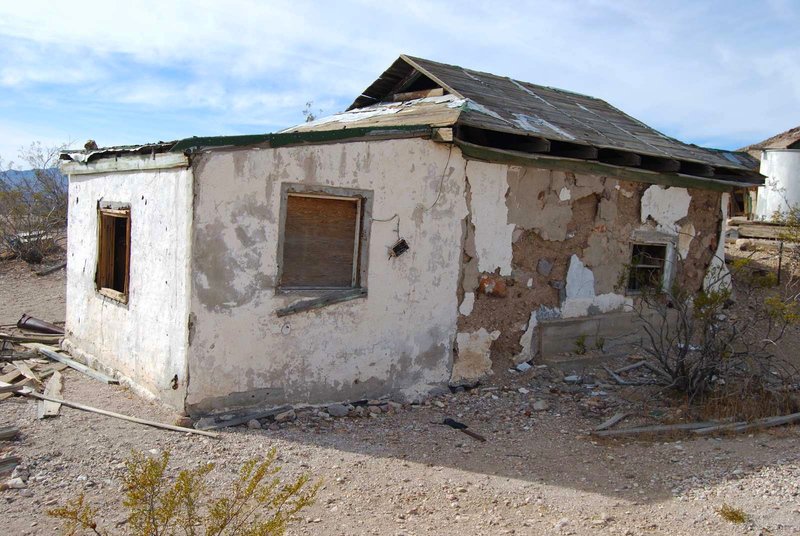 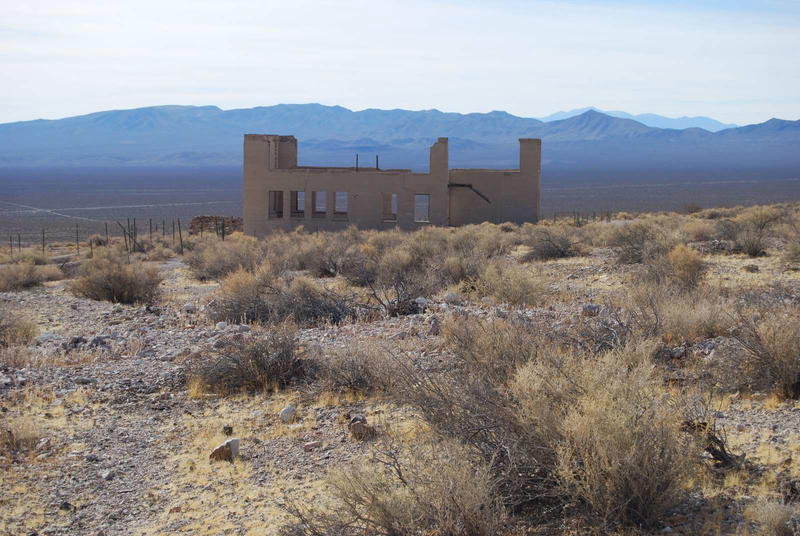 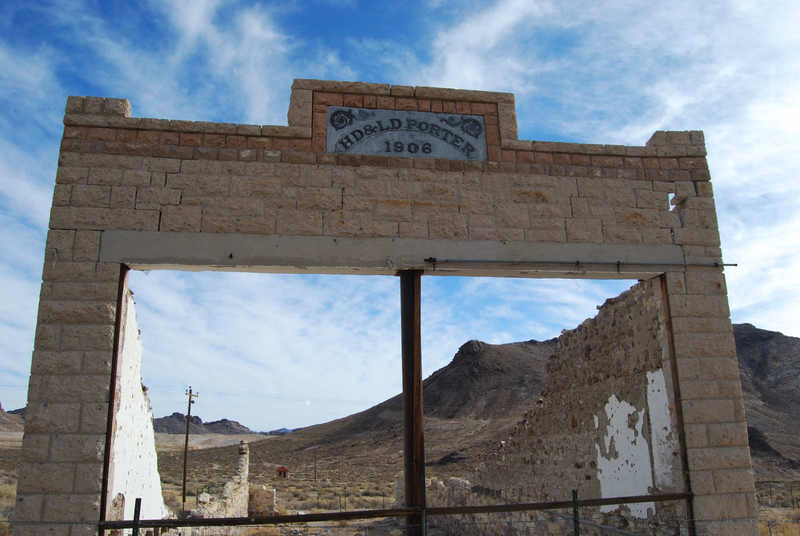 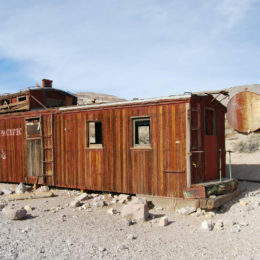 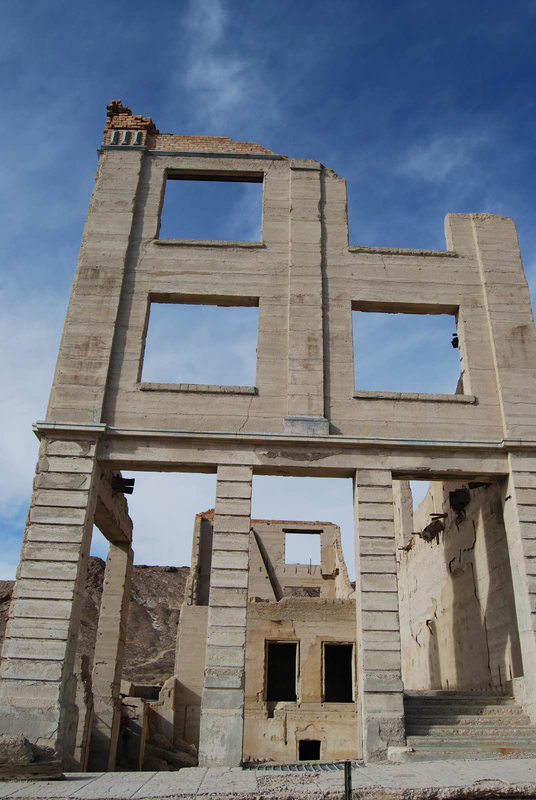 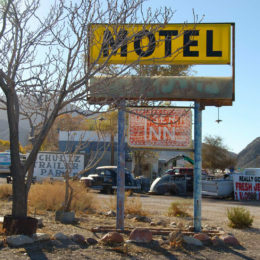 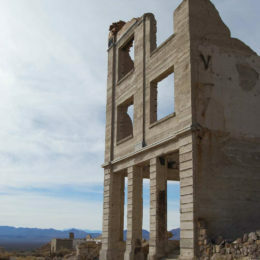 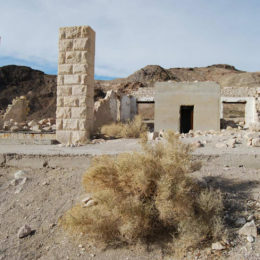 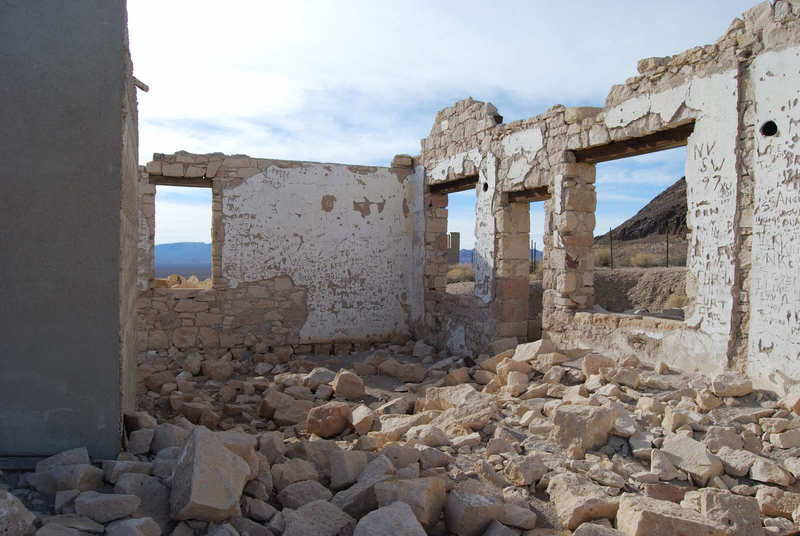 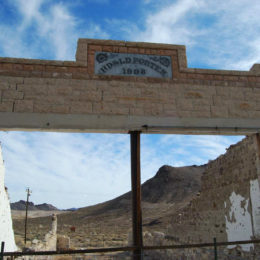 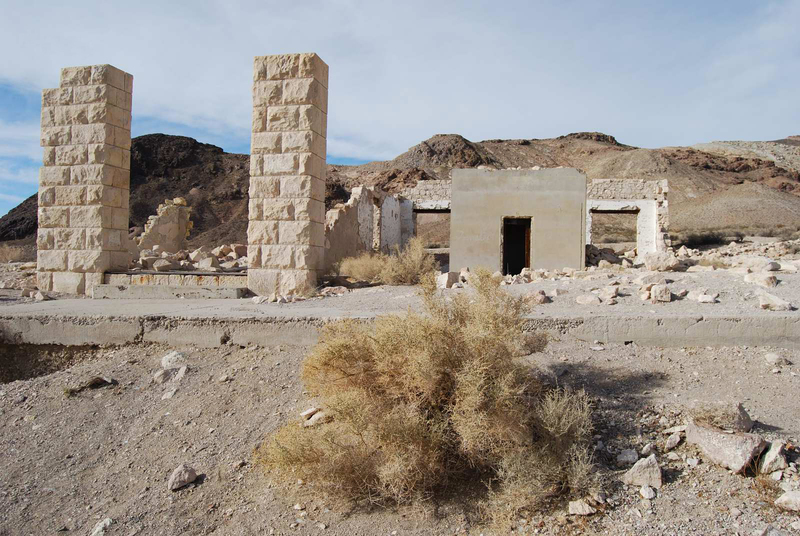 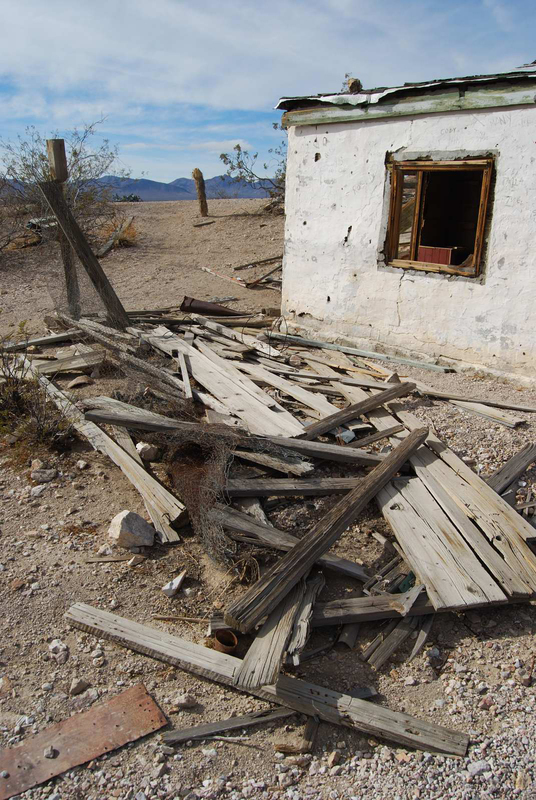 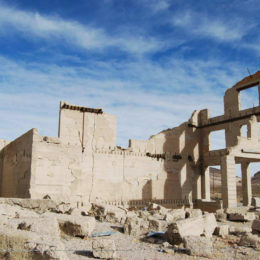 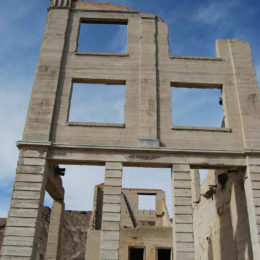 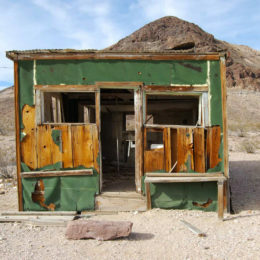 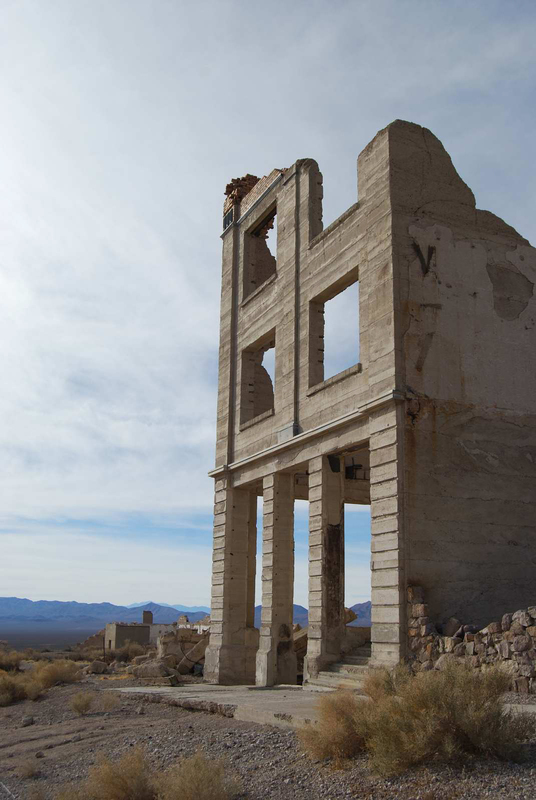 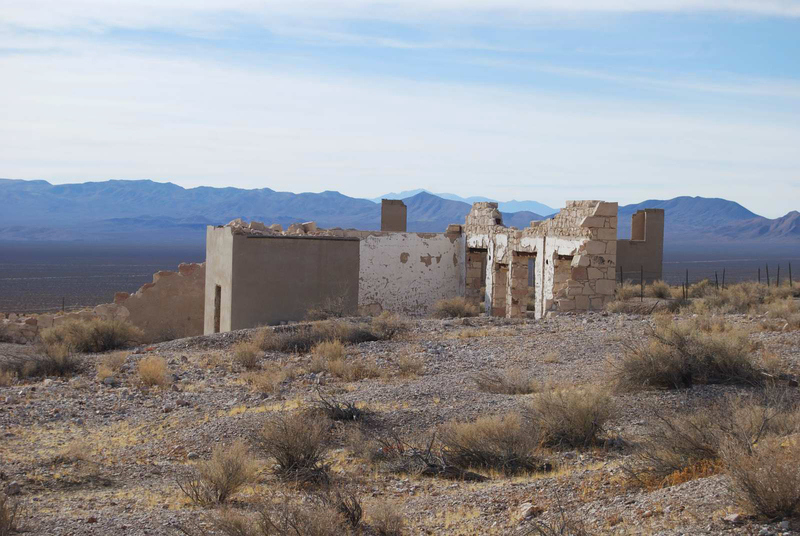 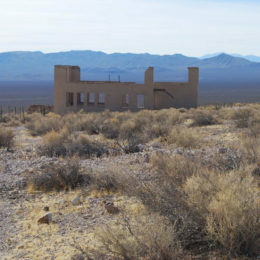 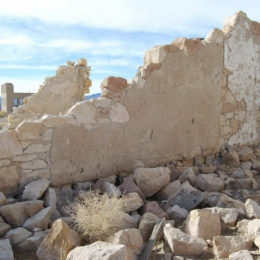 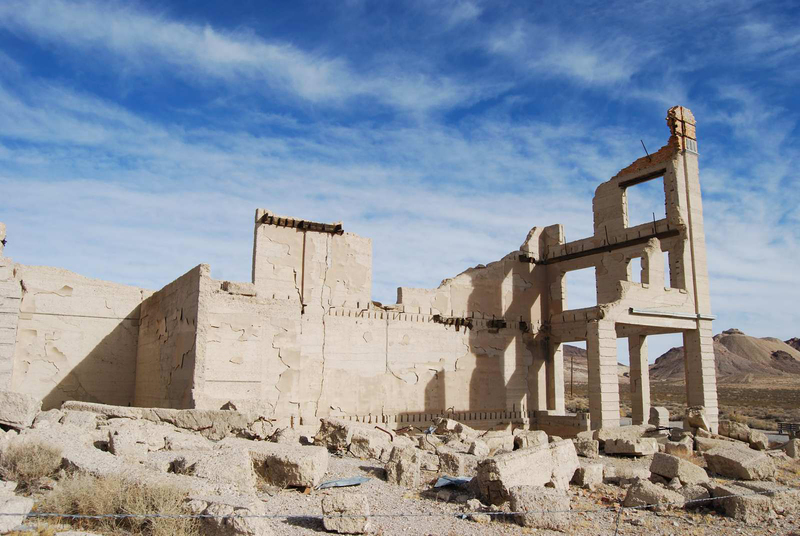 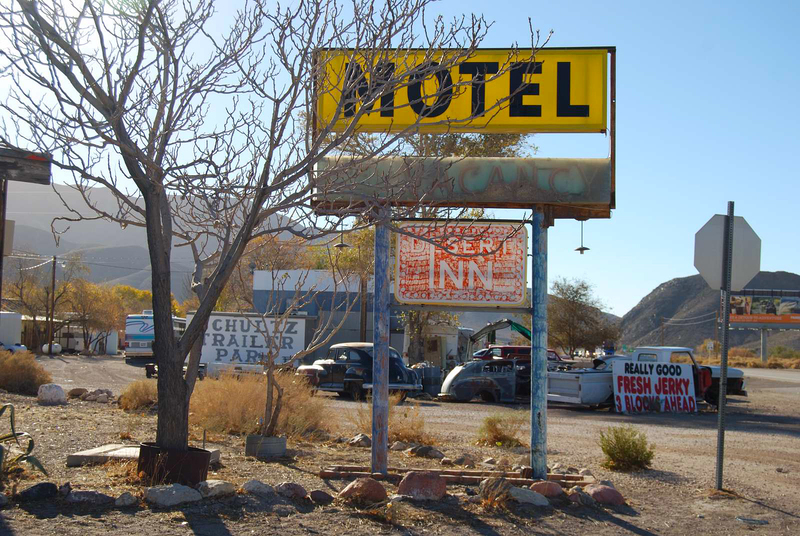 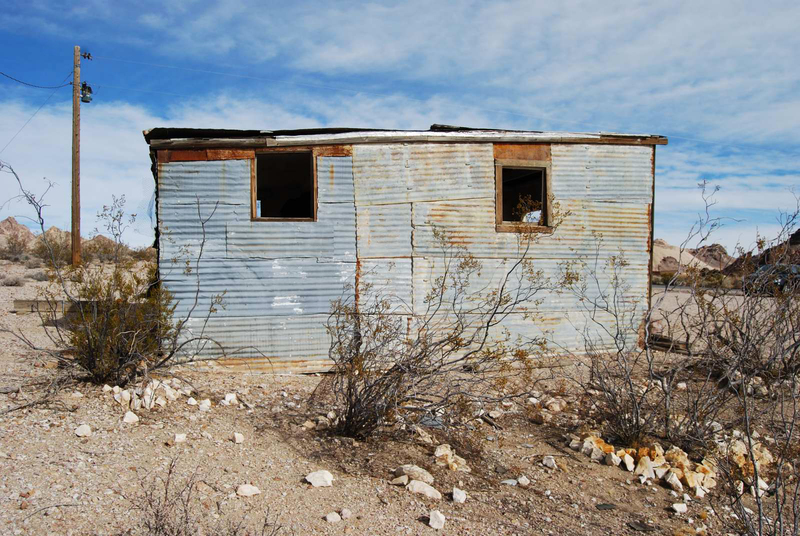 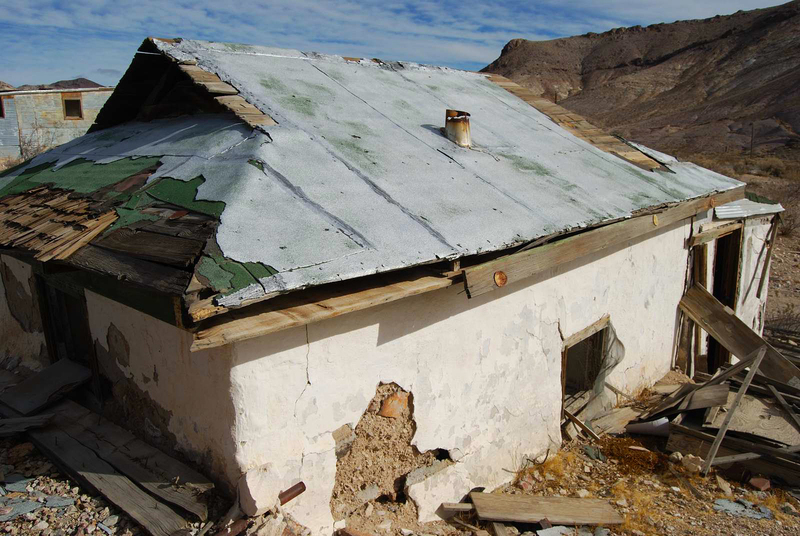 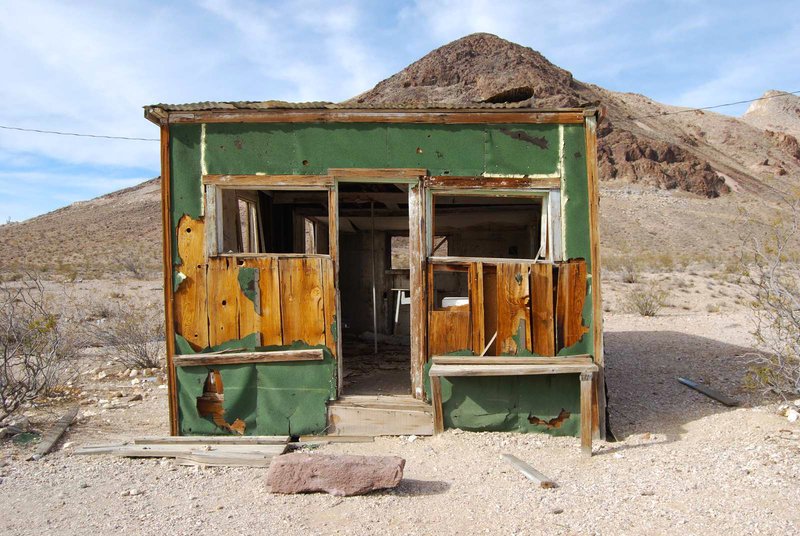 If you are a historic relics buff, then this 1900s mining camp is right up your alley, exhibiting dilapidated buildings, like the John S. Cook & Co. Bank and Rhyolite Casino. 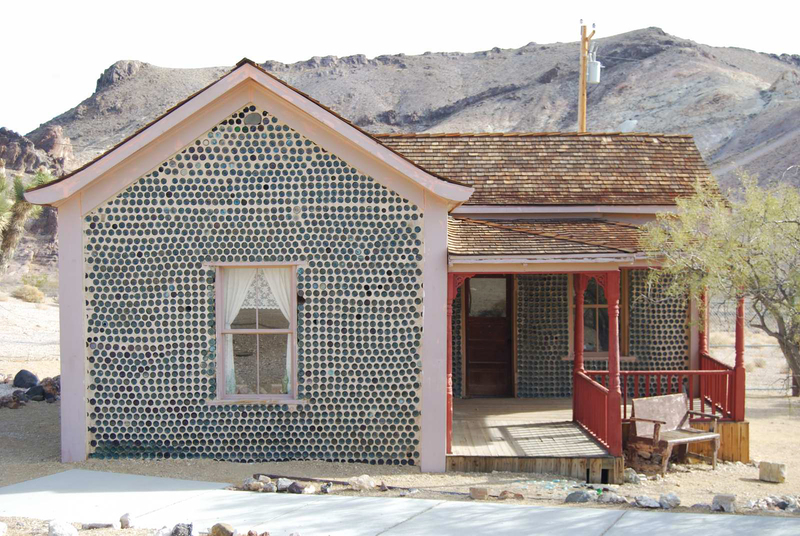 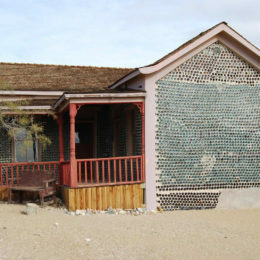 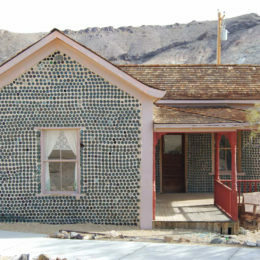 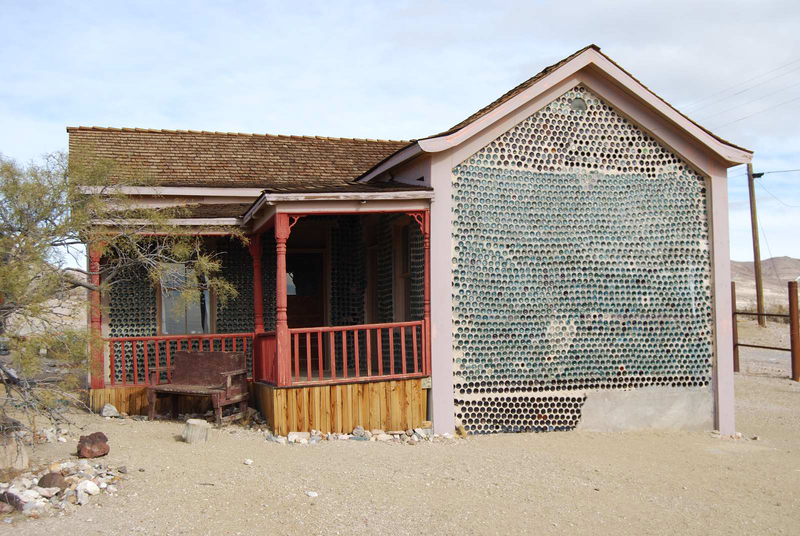 Nearby is also Tom Kelly’s Bottle House, which the miner Kelly built out of 50,000 discarded beer and liquor bottles. 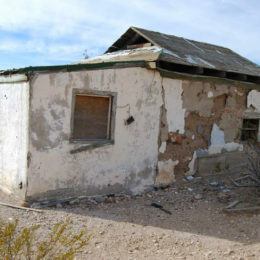 He came here in search for gold and lived in the three-roomed home until his 80s before raffling it off. 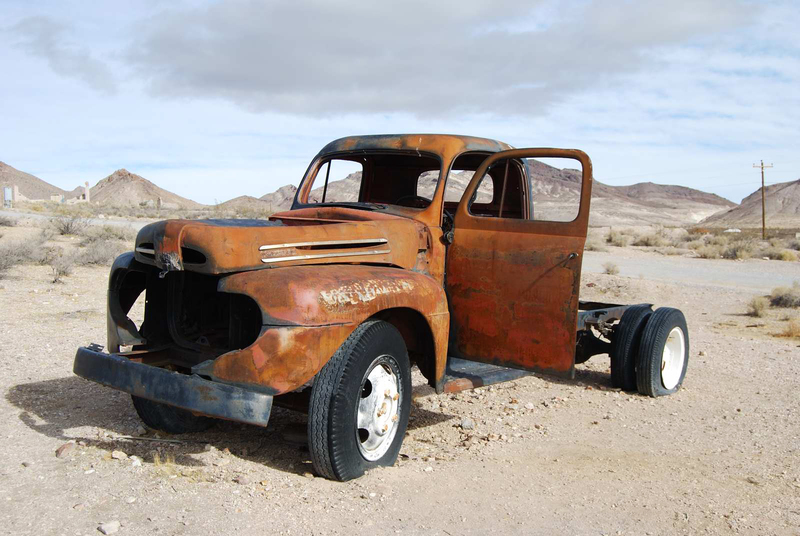 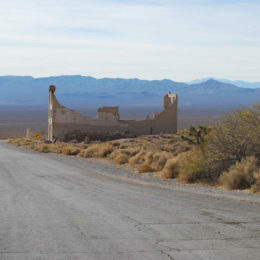 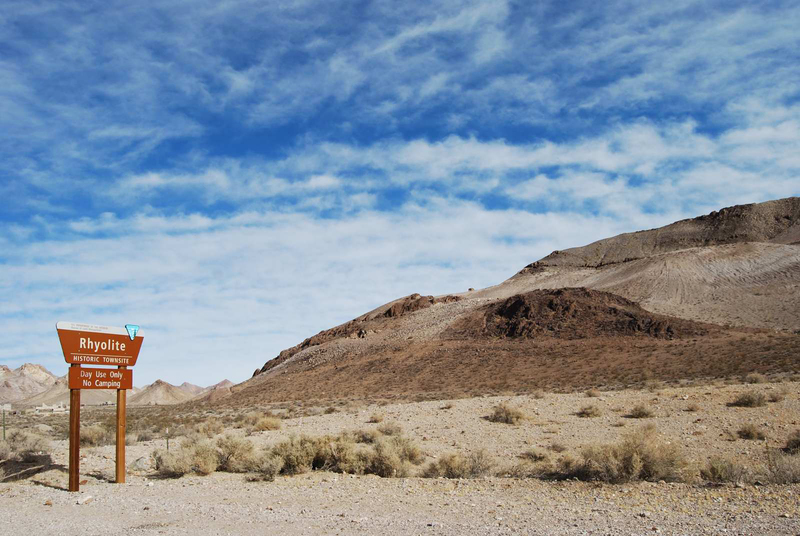 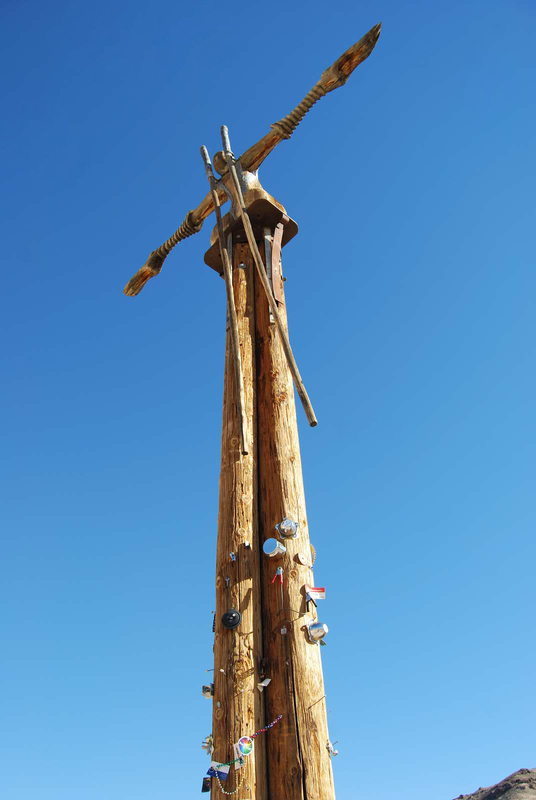 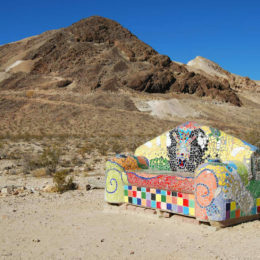 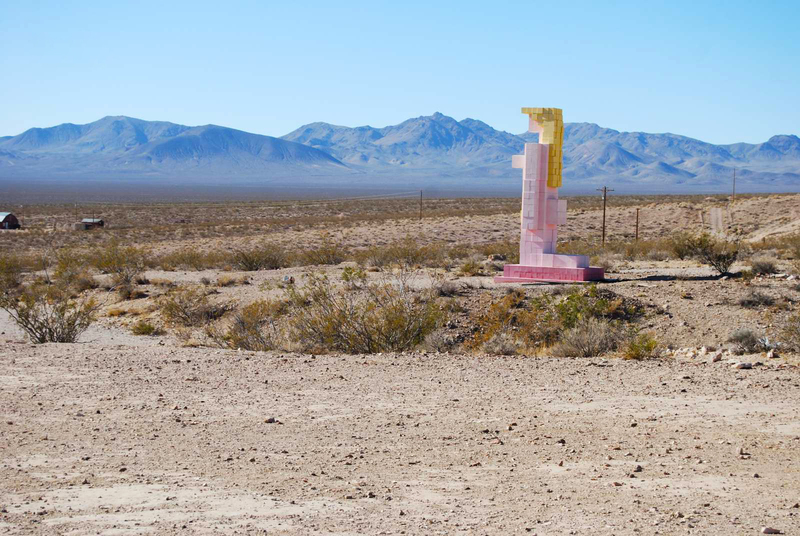 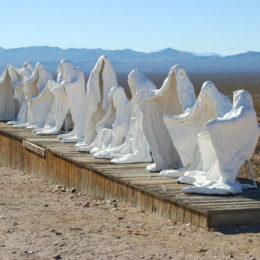 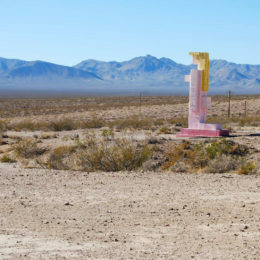 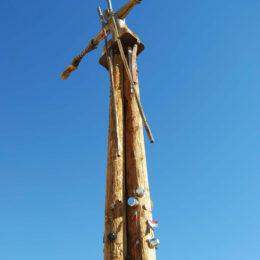 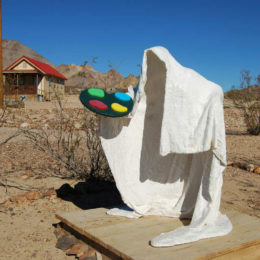 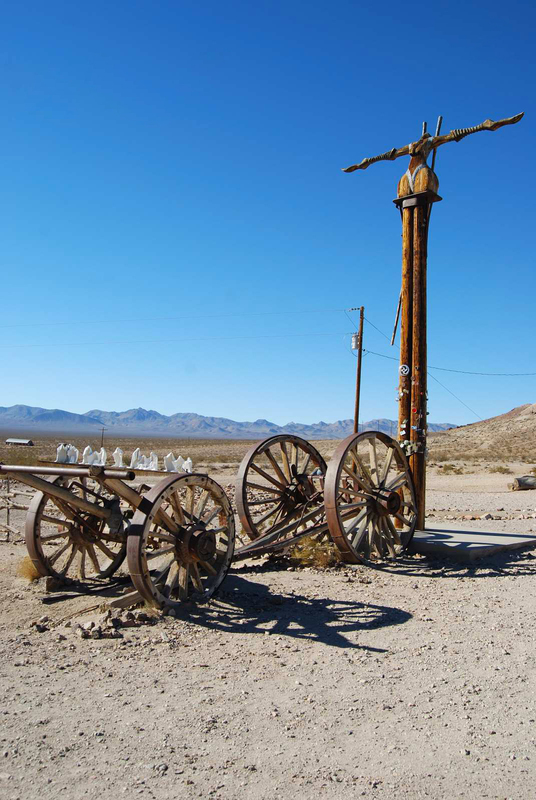 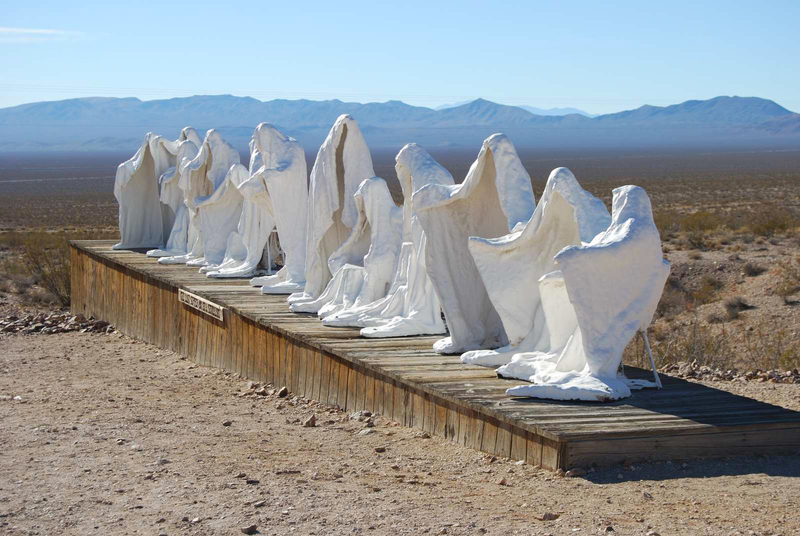 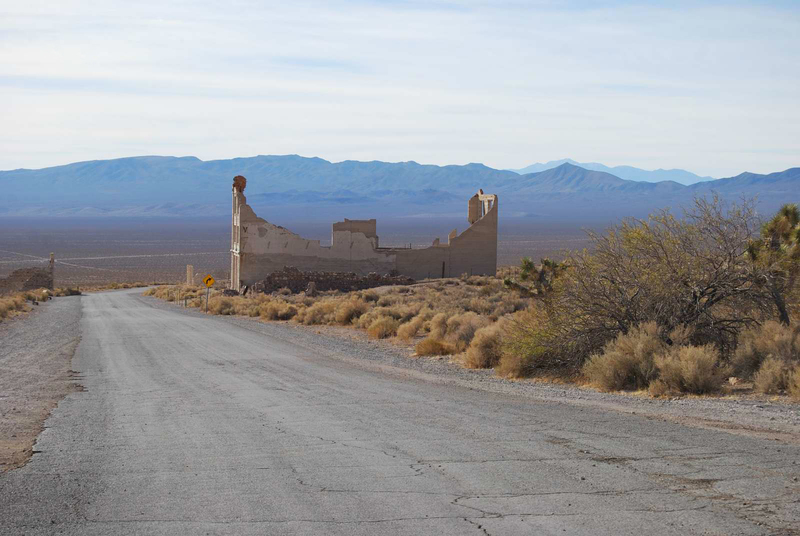 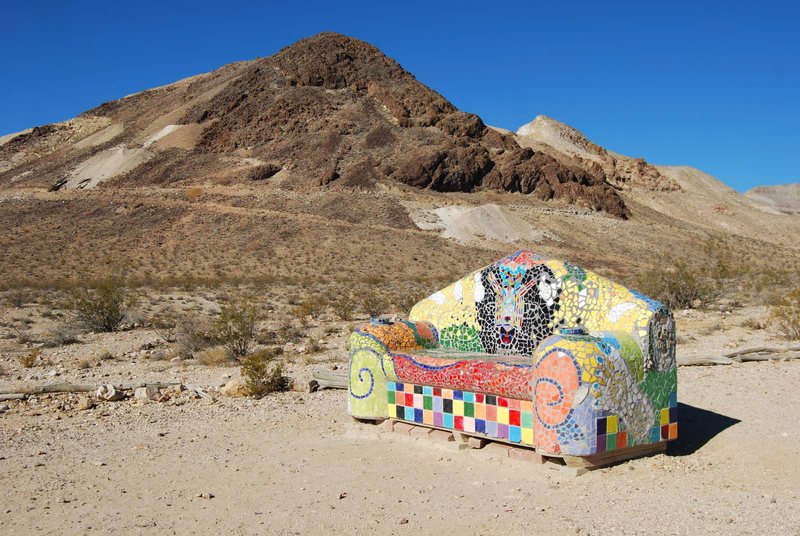 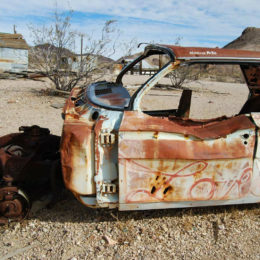 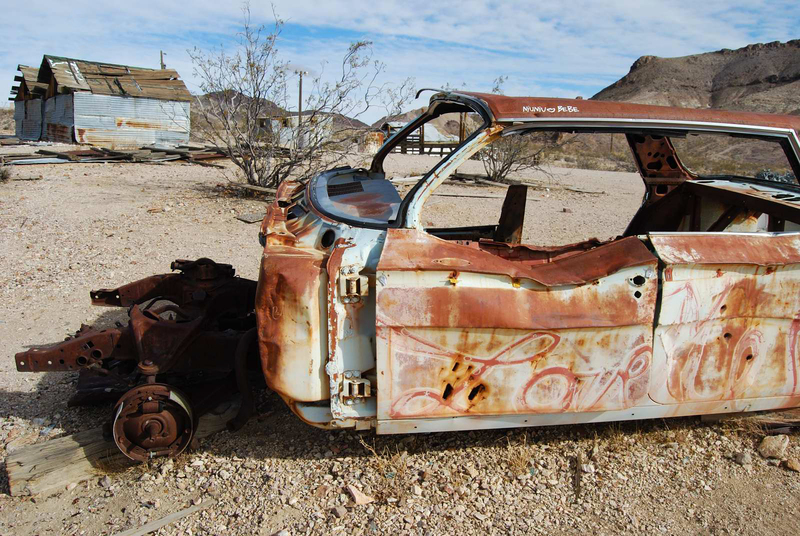 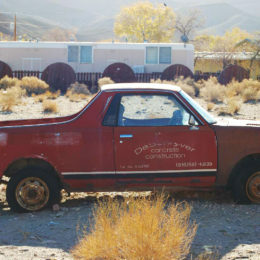 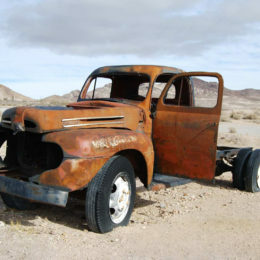 Walking distance from Rhyolite historic townsite is the Goldwell Open Air Museum, an outdoor sculpture park. 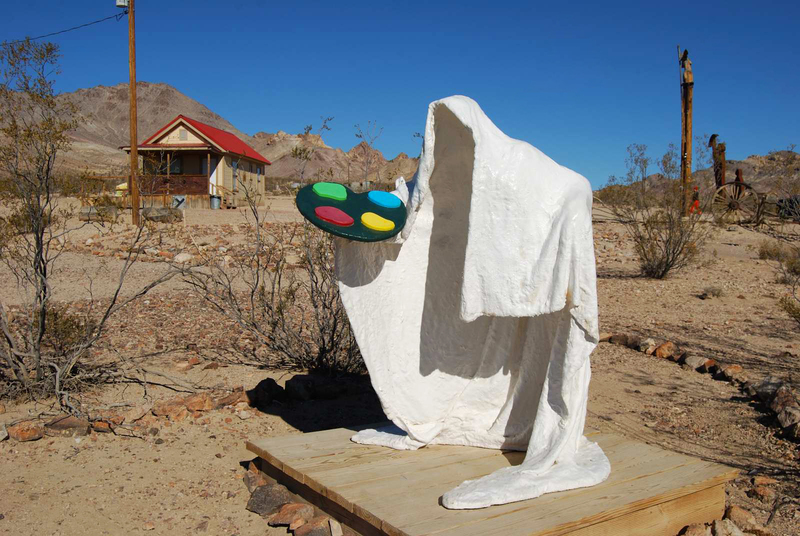 Among the art on display are The Last Supper by Albert Szukalski, created from Leonardo Da Vinci’s fresco, and Lady Desert The Venus of Nevada by Dr.Hugo Heyrman, which looks like it was built out of lego.